Washington (AFP) – Britain ruled out replacing its ambassador in Washington on Tuesday after US President-elect Donald Trump, in his latest unorthodox intervention, tweeted that Brexit campaigner Nigel Farage “would do a great job”. The decision on who is appointed to represent the United Kingdom in Washington is a matter for the British government, but that did not stop the controversial property mogul turned world leader from weighing in on social media. 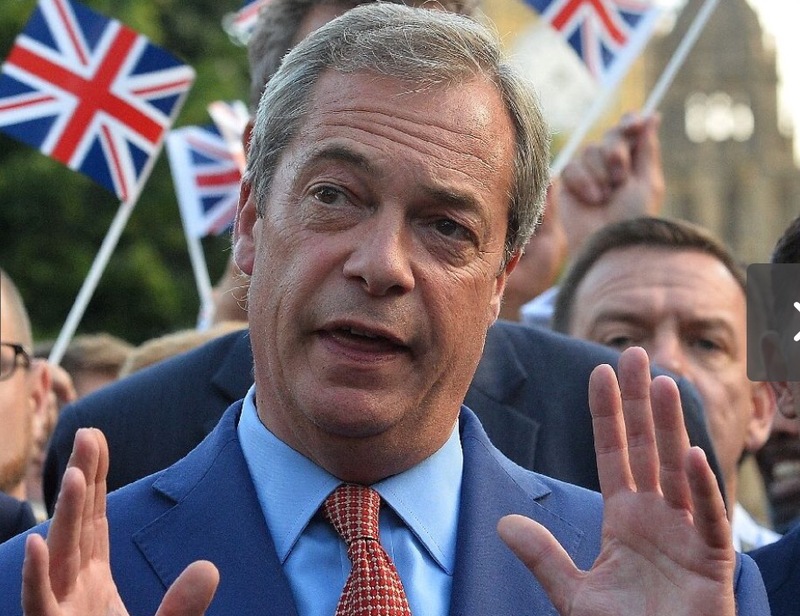 Farage, interim leader of the nationalist UK Independence Party which campaigned for Britain to leave the European Union, met recently with the president-elect at Trump Tower in New York. The British politician — who has failed repeatedly to be elected to the British parliament — wrote on right-wing news site Breitbart that Trump’s suggestion had come as a “bolt from the blue” and that he would “do anything to help our national interest”. “I can still scarcely believe that he did that,” he added. But Downing Street and Foreign Secretary Boris Johnson both stressed Tuesday that there was “no vacancy”. “We have a first rate ambassador in Washington doing a very good job,” Johnson told MPs in parliament. Kim Darroch, the UK’s former national security adviser, only took over the diplomatic post in January. Trump’s suggestion “highlights the current unsettled condition of transatlantic relations,” said Richard Whitman, associate fellow of the Europe Programme at Chatham House. During the divisive US presidential campaign, Trump repeatedly compared his presidential bid to the Brexit referendum in which a majority of Britons voted to split from the EU. Trump’s call on Twitter is unusual — ambassadors are appointed by the governments they represent, not by the administration of the country in which they serve. Britain is keen to build bridges with Trump after many of its leading government figures criticised the president-elect during his successful election campaign. “I had a very good conversation with vice president-elect Mike Pence and we see eye-to-eye on a great many matters,” Johnson said Tuesday. The government hopes to “shape and influence” Trump’s policies on shared defence — stressing the importance of NATO — and free trade, he added. London is also interested in sounding out a US trade deal as it plots its departure from the European Union. Queen Elizabeth II could host Trump within months of him becoming president, with the British government confirming Monday that it was considering a state visit next year. Royal officials said the government was responsible for organising state visits, and a spokeswoman for Prime Minister Theresa May said the proposal was “under consideration”. Britain will not issue an invitation to a president-elect, but is expected to make its move shortly after Trump’s inauguration on January 20.